Click any image above to shop my affiliate links! I am literally living in that fuzzy pink sweatshirt! It's the coziest thing in my closet and worth every penny for a piece that works for both casual wear and lounge wear! I love pairing it with joggers around the house and throwing on jeans and my chenille pom pom beanie to run errands! I also own a really similar robe that is SO luxurious for frigid winter mornings! I love that these gift ideas are so comforting and really work for all ages and lifestyles! There's something for everyone on your list in this round up, so get shoppin' before it's all sold out! Don't forget to use Ebates to get some cash back as a gift to yourself! It's completely free and I never shop online without it! Sign up HERE with my referral code to earn $10 right off the bat! Do you have a favorite cozy comfort item that you reach for when you're relaxing at home? Which of these would you love to see under your own tree? Thank you! I know you'll find something you'll love! I want that throw and robe! They looks fantastic. I have a super similar robe and wear it all the time! So cozy and warm! You are so right, all of these would make amazing gifts! I am all about comfy and cozy! great list! Me, too! 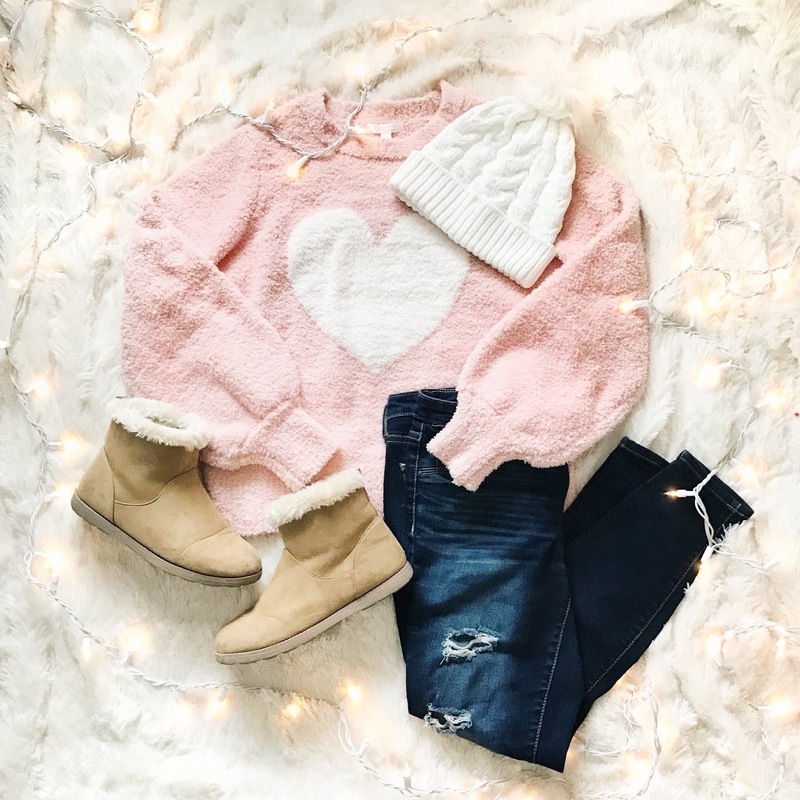 Never met anyone who doesn't love a cozy gift! Yes! I always end up giving gifts I want to keep! So cozy and cute! That heart sweater is my fave! I've been wearing it nonstop! Sooo soft and cozy!